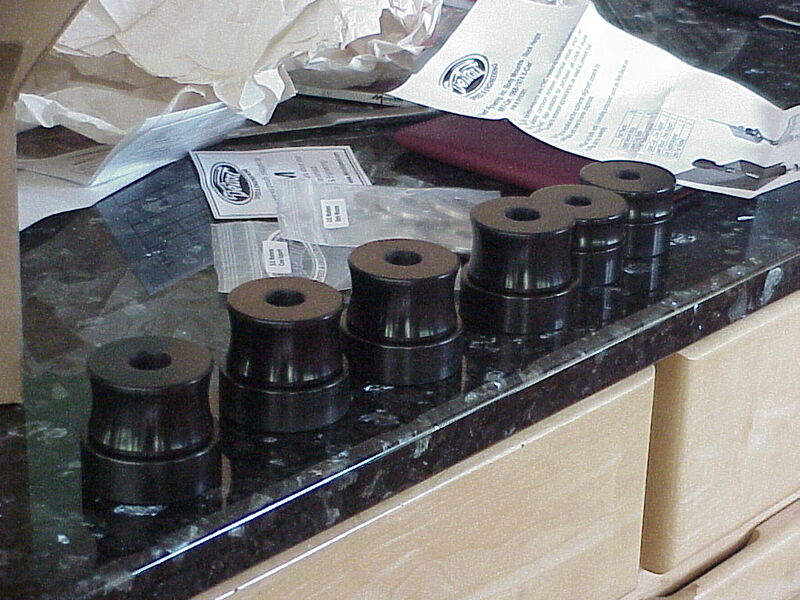 The new solid body mounts arrived today (6/30/8). These are from Detroit Speed. Hey! Whatya think of our new kitchen countertops?